Sorry, life hackers: There’s no one trick that will magically raise your credit score. Luckily, it’s fairly easy to start moving in the right direction. Here are a few good habits to adopt that will improve (and maintain) your credit score. Sounds straightforward, right? This is the single easiest way to maintain good credit. It isn’t the act of paying your bills on time that boosts your credit score, but the absence of negative items, such as late payments. For example, utility bill payments aren’t included in your credit report. But if you fall significantly behind on your bills, your account will go to a collection agency, which may report your delinquency to one or both of the credit bureaus (Equifax of TransUnion). Your bank will also report any bounced cheques. Get into the habit of paying your bills right away, in full. If you’re not able to do this, make sure to pay the required minimum amount shown on your monthly statement. Ideally, your balance should be under 30% of your available credit limit at any given time. This is a guideline, not an absolute threshold, but is a useful watermark to maintain good credit because it shows you’re in control of your spending and responsible with payments. 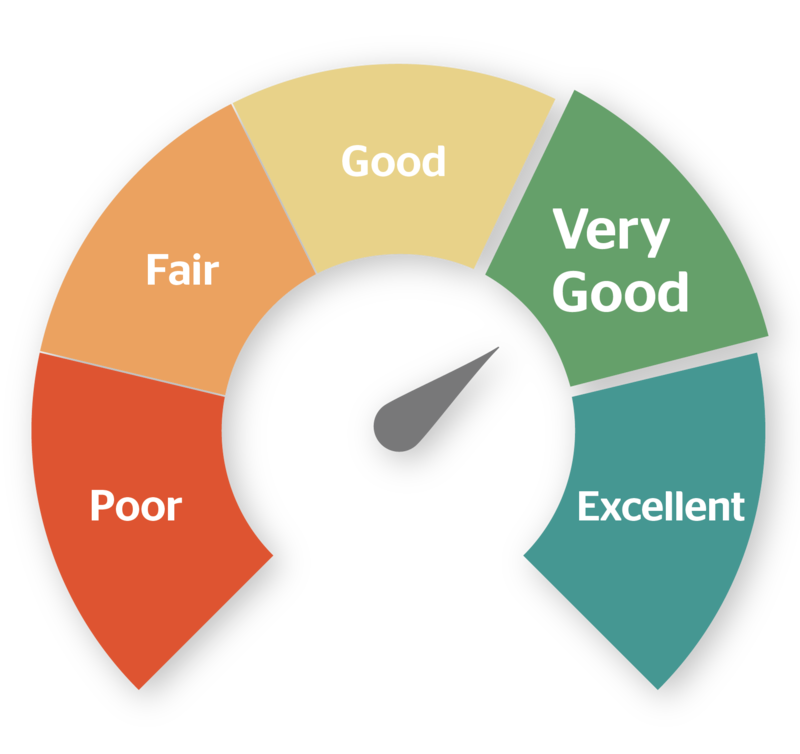 The higher your balance, the more it negatively affects your credit score. If your debt levels are above 50% of your available limit, create a payment plan to whittle down your balances, especially if you have a major loan application on the horizon (mortgage, auto loan). If you have more than one credit card, spread out your spending to keep your utilization levels low. For example, it’s better to have two credit cards each at 50% capacity than one maxed-out card. Basically, don’t be a credit hoarder. Only apply for new credit you genuinely need it. Every time you apply for a credit card or loan, the lender pulls a hard inquiry in order to decide whether or not to approve you. Each hard inquiry dings your credit score, so if it isn’t great to begin with, these points can really add up. If you apply for a lot of credit cards within a short period of time, credit bureaus may assume you desperately need cash. If you already find yourself with too many cards, you can help your score bounce back by keeping your balances low and holding off on applying for more credit for at least a year. Remember, how long you’ve been borrowing counts for about 10% of your credit score. Even if you don’t use it that often, it can be better to keep an old credit card if it has no negative items on it because you benefit from that positive history. If you have a card with cash back, miles or rewards points, ask yourself if you actually take advantage of the benefits and get back what you pay annually to use it. It can be beneficial to your credit report to keep using it responsibly. But if the annual fee outweighs the benefits, consider cancelling it. Of course, cancelling an account with a negative history won’t make it disappear off your report. Depending on the item, it takes years. Unfortunately, mistakes happen. Inaccuracies on your credit report can lower your score and lead to you being denied credit or prime interest rates. Order your credit file from each bureau at least once a year, and track your report for errors or signs of identity theft. If you find a mistake on your report, notify the credit bureau as soon as possible. The bureau will contact the lender in question to verify the information. If it’s incorrect or incomplete, the item will be removed from your file. Include any paperwork you may have to help your case. If you don’t have a credit history or need to rebuild your credit, you can apply for a secured credit card. You pay a deposit to the credit card issuer, which acts as collateral. Your credit limit is usually a percentage of that deposit, and you can use it like a regular card. The issuer reports your payment habits to the credit bureaus, so you can build a solid credit history by making all of your payments on time. It’s important to note that a secured card is not a prepaid card, which you load, spend, and reload with your own money (kind of like a gift card). Because of this, prepaid cards don’t allow you to build a credit history.